Those of you who took part in the charity shoots at East Devon at the end of last season may remember that the proceeds and donations from that shoot were to be given to the RNLI. 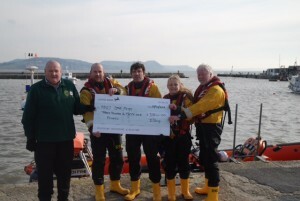 Over the weekend, Jeremy Stamp visited the RNLI at Lyme Regis to present the cheque for £351. A great result from all involved and very much appreciated by the RNLI.